Do you have premises that require special housekeeping? Call today G.E.M Quebec. Everywhere in Montreal, North Shore and South Shore. With several years of experience in the market, G.E.M is now able to respond to specific requests related to the specificities of the customer’s business. It has developed a sectoral know-how which enables it to offer specialized techniques adapted to the sector of activity in which it operates. Whether for a one-off intervention or for a long-term collaboration, the level of demand and professionalism offered by G.E.M Québec’s agents remains the same! Indeed, it is this attention to detail and the qualitative approach that makes today the strength of the cleaning company. Our know-how in cleaning as well as our experience make it possible to offer you unequaled results, at a price more than competitive. Throughout your relationship with G.E.M, you are followed by a dedicated customer manager, who is the guarantor of your satisfaction. He will call you regularly to monitor the quality of the services performed and ensure your complete satisfaction. For all requests for intervention, the technicians offer you free quotes and tailor-made in less than 48 hours! Our experience and our mastery of the method assure you the best cleaning at any time. Let yourself be astonished by the power of our cleaning to maintain your premises! 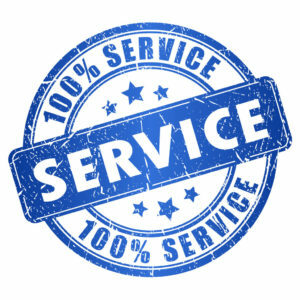 Trust our cleaning specialists and entrust your premises to our reputable experts contact us today! Dust all horizontal, vertical surfaces. Empty recycle bins and place contents at the designated location. Dusting and cleaning of offices, blinds, tables and all types of furniture. Dusting and cleaning of computers, photocopiers, all office equipment. Countertop kitchen cleaning, cupboards, sink and electro from the outside. Dusting cabinets, armchairs and chairs. Cleaning of traces on doors, baseboards, windows and walls. Cleaning of bathrooms: sinks, washbasins, lavatories, urinals soap dishes and mirrors. Carpet, carpet and rug cleaning and maintenance. Switch from dry mop / Vacuum cleaner. Washing floors, Running damp mop.